The most powerful road truck available in the world today will appear at the Alexandra truck Show in June. 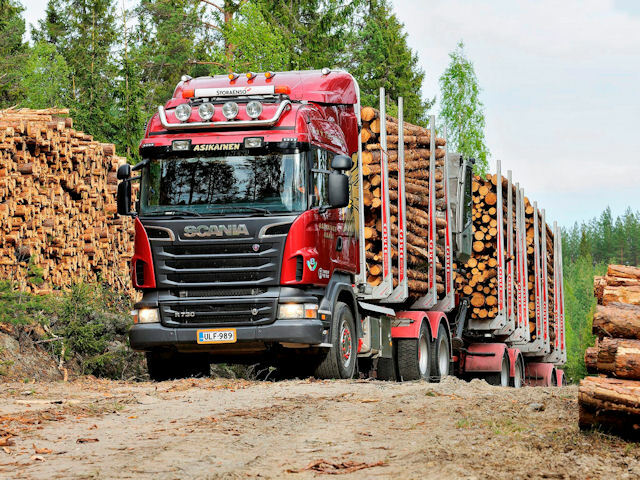 The Scania R 730 boasts 2583 lb/ft (3500 Nm) of torque from its 730 hp V8 engine, and is the most powerful truck available for sale anywhere in the world for use on public roads. It has been available in Australia since 2011, when it was introduced at the Brisbane Truck Show and won the coveted Ã¢â‚¬ËœTruck of the Show’ award. Since then, the original show truck has covered around 15,000 km driving around Australia visiting other truck shows, as well as providing customers with a thrilling opportunity to enjoy the unbridled pulling power the 16-litre new generation engine provides. The truck hits its peak 2583 lb/ft torque output between 1,000 and 1350 rpm, helping it to sip fuel even when fully loaded. The highlight of its around Australia trip was pulling into Alice Springs for the Hall of Fame weekend last year, and then heading on to Longreach pulling three trailers, weighing in at almost 78 tons GCM. The drivers, including member of the truck media, were impressed by the R 730’s awesome pulling power, noting that they were barely even aware of the weight of the third trailer. Fuel economy remained impressive, as well. “The Scania R 730 has been a huge hit all across Australia, with show visitors as well as potential customers,” says Gerard Martin, Scania State Manager for Victoria, South Australia and Tasmania. “We have seen huge crowds of people come to see the R 730 in the metal. The truck was on display in Perth last year as well as Brisbane, and recently we had a new example arrive, which was displayed at the Melbourne International Truck, Trailer and Equipment Show. “The Scania R 730 uses a new generation Compacted Graphite Iron cylinder block, as well as a variable geometry turbocharger and uses Selective Catalytic Reduction control for exhaust emissions to be able to meet the most stringent Euro 5 Plus EEV (Enhanced Environmentally Friendly Vehicle) standards. “So not only is it very powerful, but it is very efficient and very clean,” Gerard says. “We have had very serous enquiry on these R 730 V8s as well as on the R 620 and R 560 V8 variants we have been offering in Australia for some time. That first R 730 was sold to SRH Milk Haulage in Newcastle; the business owner practically bought it on the show stand in Brisbane. “The R 730 is the Scania flagship and we are delighted we are able to bring it to the Alexandra Truck Show this June to show it off to even more people,” Gerard says.